Basic custom imprint setup & PDF proof included! 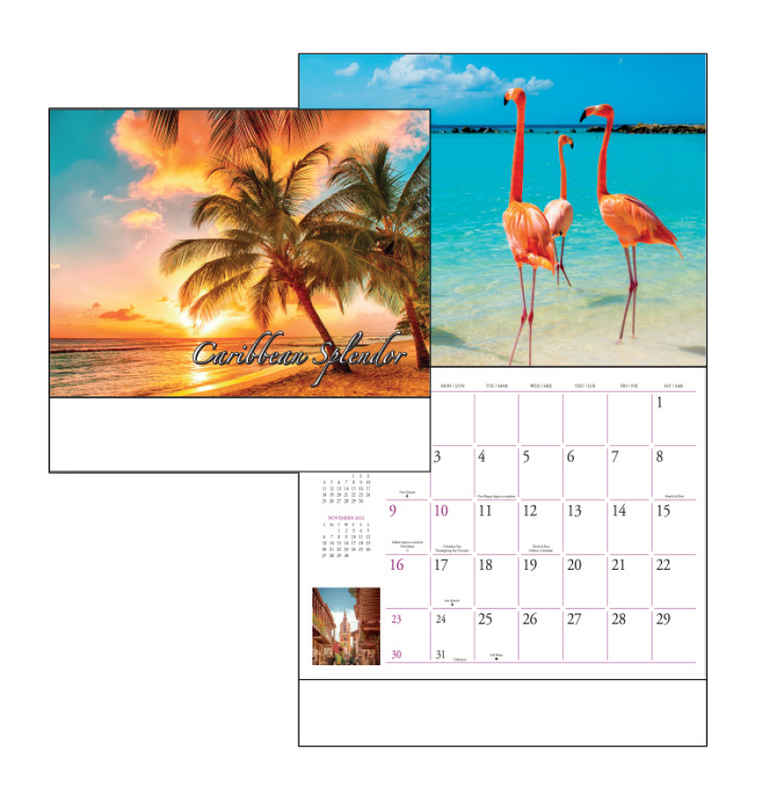 12-month wall calendar features exciting, fascinating and warm locations that are always enticing. 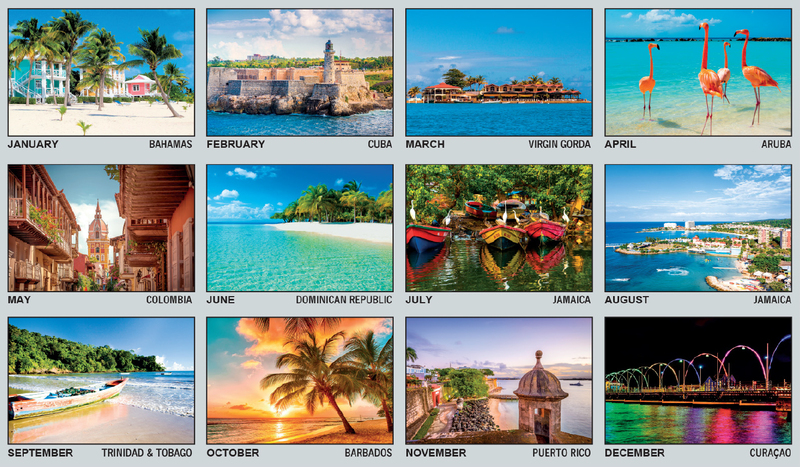 Bilingual American-Spanish Global Line calendar. 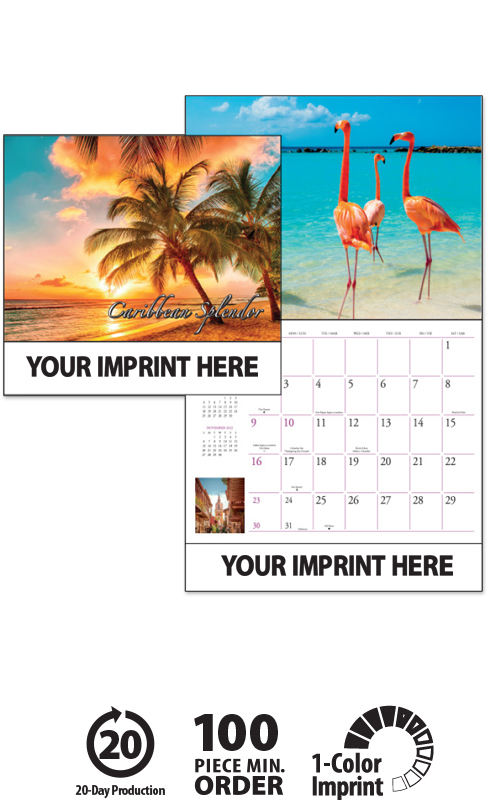 This high-quality promotional Caribbean calendar will proudly display your message for the entire year!